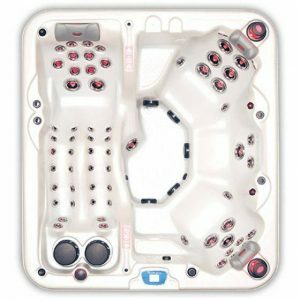 Luxury 6-person hot tub with 110 hydrotherapy massage jets. 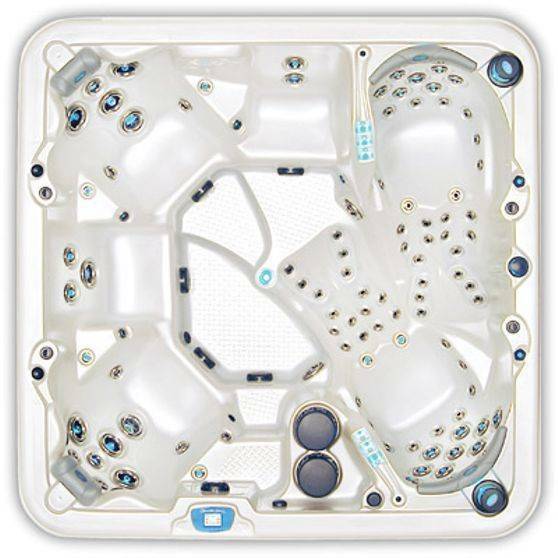 Fully loaded with deluxe European waterfall features, multi-colored LED mood lighting, bistro table and much more. Proudly designed, engineered and manufactured in the U.S.A. 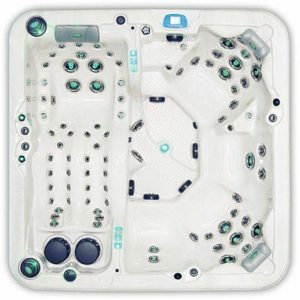 Luxury 6-person hot tub with 100 hydrotherapy massage jets and a full body lounge. 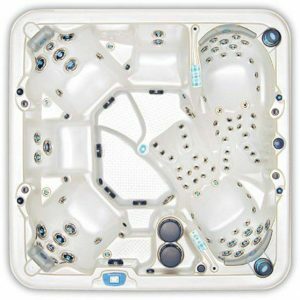 Fully loaded with deluxe European waterfall features, multi-colored LED mood lighting, bistro table and much more. Proudly designed, engineered and manufactured in the U.S.A. Luxury 5-person hot tub with 92 hydrotherapy massage jets. Fully loaded with deluxe European waterfall features, multi-colored LED mood lighting, bistro table and much more. Proudly designed, engineered and manufactured in the U.S.A. 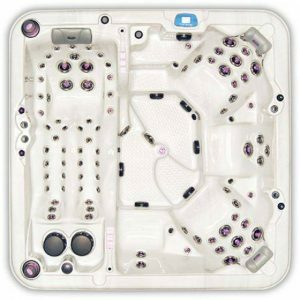 Luxury 4-person hot tub with 66 hydrotherapy massage jets and a full body lounge. 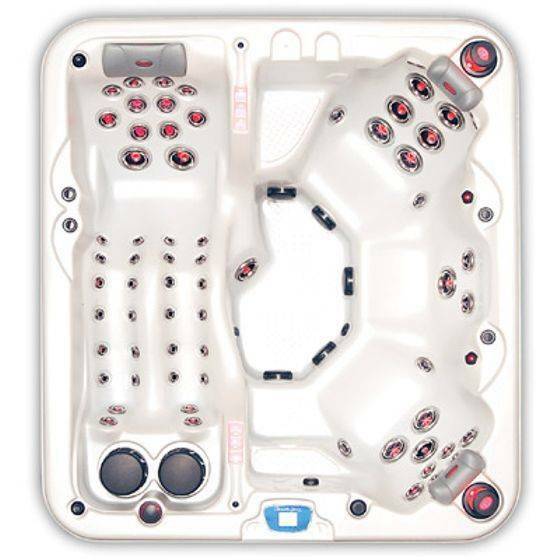 Fully loaded with deluxe European waterfall features, multi-colored LED mood lighting and much more. Proudly designed, engineered and manufactured in the U.S.A.